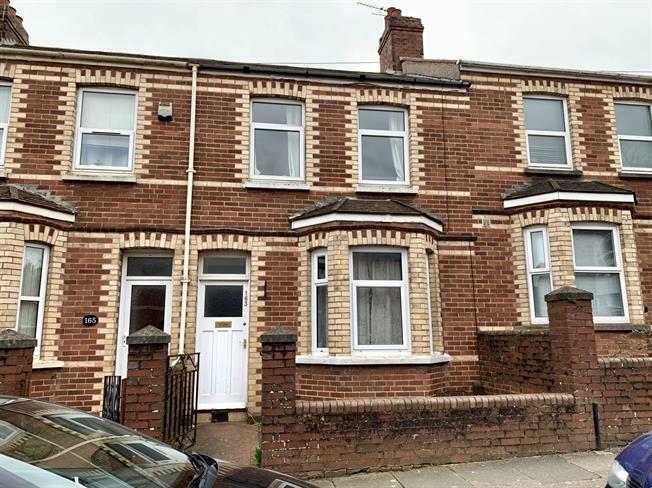 4 Bedroom Terraced House For Sale in Exeter for Asking Price £330,000. FEATURED IN THE BIG OPEN HOUSE. Currently let to students is this four bedroom terraced property. Comprising on the ground floor a separate lounge and dining room with a good size kitchen. On the first floor there is a shower room and four bedrooms. The property is uPVC double glazed, has gas central heating and being sold with no onward chain.